1. bic soleil razors. i hate leg hair. hate it. i'm way too big a wuss to wax though, so shaving it is. i'm 100% not one of those girls that likes winter so they can wear pants and never shave. i have to shave. 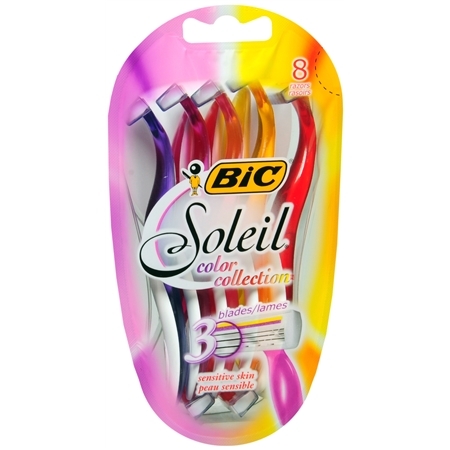 and i swear to you, the closest shave comes from the bic soleil razors. just the regular, basic ones! which is not what you'd expect, right? because they're disposable. i mean, they last longer than those ones for a dollar but you don't replace the blades, you just use a new razor. but i've tried the fancy ones like the venus or the hydrosilk with that moisturizing bar, but nothing beats the soleil razors. which i get at walgreens for $10 for 8; a steal compared to the others. it doesn't have a swivel head or anything fancy but i've been shaving my legs for like 15+ years, i think i can manage not to cut myself by now. (fine, except that one time i had a mosquito bite i forgot i scratched and then shaved the scab off and it was like the psycho shower scene in there.) i realize this is a really weird favorite recommendation, but i always spend money needlessly on stupid expensive razors that don't compare and i'm done. and i'm also saving you the trouble. i switch to a new razor when i finish a can of shave cream. because otherwise, i'd never remember. 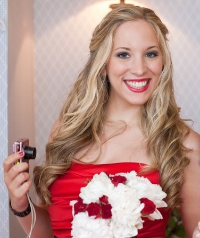 2. becca dorr on youtube. i follow a lot of people on youtube - and i watch a lot of beauty videos, which is strange because i don't really try new things. it's just fun to watch i guess. but becca's channel is awesome. 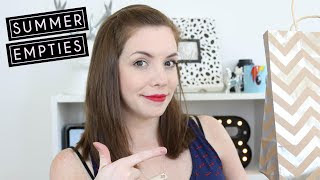 it's newer, so not as many videos as the 'big name' vloggers, but her videos are great. really good quality, fun to watch, plus i trust her opinion. i trust anyone who can rock red lips like that. a new empties video popped up today and i got super excited, so i think that's a sign that you should subscribe! and she responds to comments and is active on other social media, which is always nice. 3. ardell accent lashes. with duo lash glue. or am i the only one that loves false lashes? on the weekends of course. nobody got time for false lashes at 7 a.m. anyway, both are cruelty free. i don't usually like full fake lashes, because they're kind of a pain to wear. but accent falsies are just easier all around, plus i think they look better. i like the 301s, but the 305s are good for extra drama. lots of beauty favorites this week apparently! i'm no expert by any means, but it's what works for me. happy thursday!